Reduces slate weight by up to 40%! Great for cedar shake and asphalt roof replacements. SlateTec roofs weigh roughly 40% less than traditional installations yet retain the aesthetics of a traditionally installed slate roofs! still use Greenstone quality S1 rated slate. total roof weight to less than 6 lbs per sq. 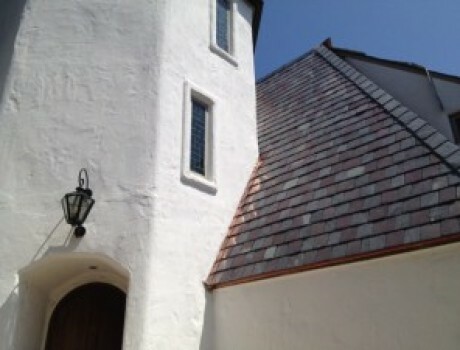 ft.
SlateTec installation – Lowest cost genuine S1 rated slate roof you can buy! 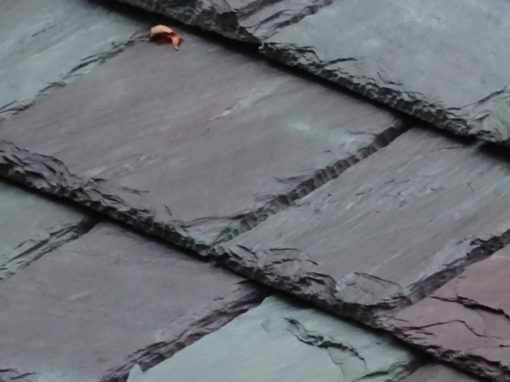 Beauty and longevity of a slate roof, but not the extra weight! 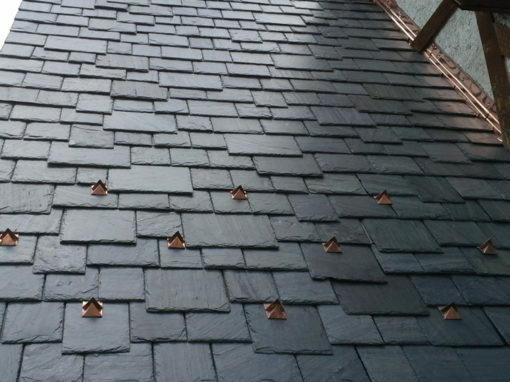 The SlateTec slate roof system is an innovative lightweight approach to installing a genuine slate roof. 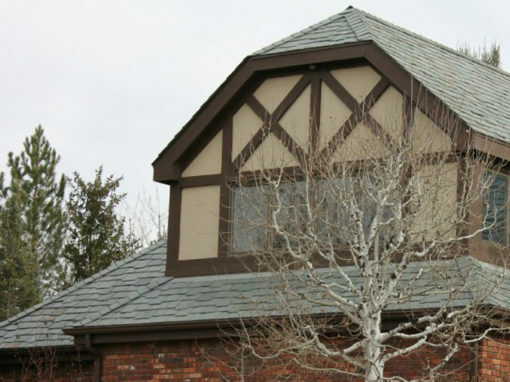 Using their very rugged interlayment, a SlateTec roof uses far less slate overlap than in a traditional installation. 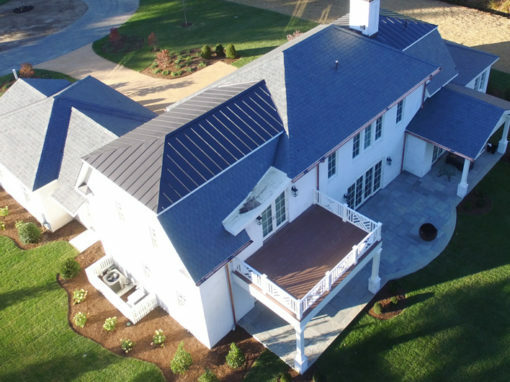 The SlateTec system will reduce roof weight roughly 40% because it requires less slate—the key to its cost effectiveness. The reduction of roof weight (less than six pounds per square foot) also lowers structural costs, contributing further to the system’s high value. 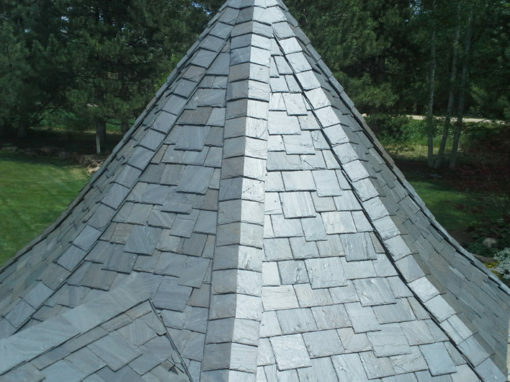 You can upgrade to slate without the concern normally associated with a slate roof’s structural support requirements. 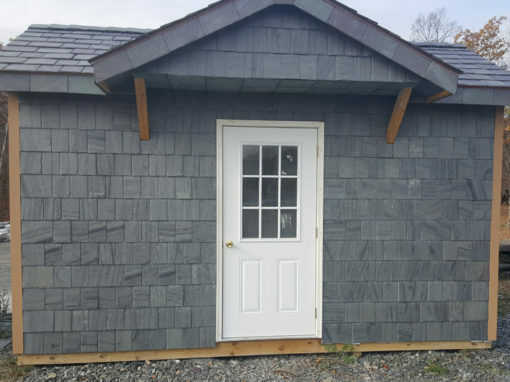 The SlateTec system features Greenstone Slate® S1 rated slate in any Vermont color and slate grade. Overall roof cost reduction. 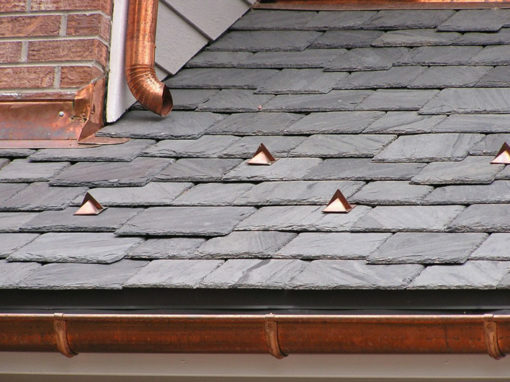 Very similar to traditional installation techniques but with less slate overlap. 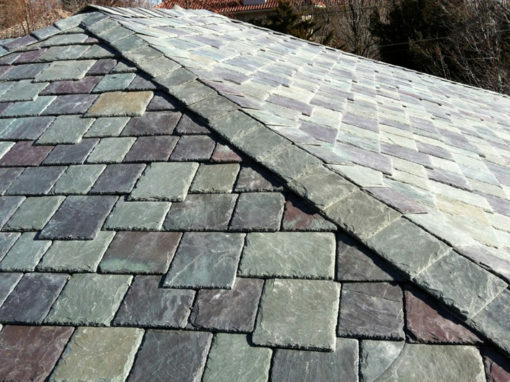 All the traditional slate roof options are available including: random widths, color blends, drop downs, and staggers. Greenstone Slate is the North American Distributor for SlateTec. 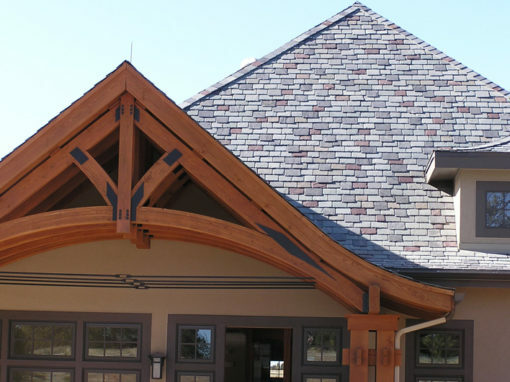 For more information about SlateTec reduced weight slate roof installations, call us toll-free at (800) 619-4333 or contact us here. 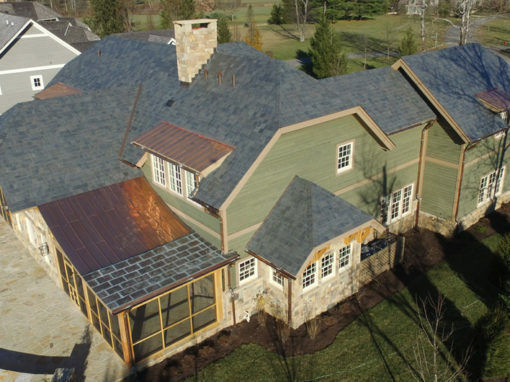 SlateTec slate roof installation system is very similar to traditional installation techniques but with less slate overlap due to patented, rugged interlayment.